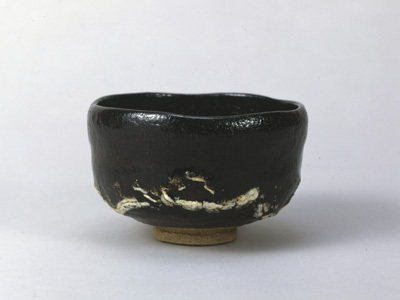 A glazing known as “jakatsuyû”, jakatsu glaze, a silica-based white glaze being applied together with a black glaze to create a glaze effect in which the misty white tone emerging on the edge of the flowing black glaze, was already introduced by Dônyû III. Here Seinyû with his research on glazing developed this glazing effect further to achieve a crystallized white. “Araiso”, stormy coast, derives from this glaze texture. Kichizaemon is the name to succeed to take the headship of the Raku family while Sôkichi is the name reserved for the eldest son. Seinyû succeeded the name when he was 33 years old, which was the latest succession among all the generations. 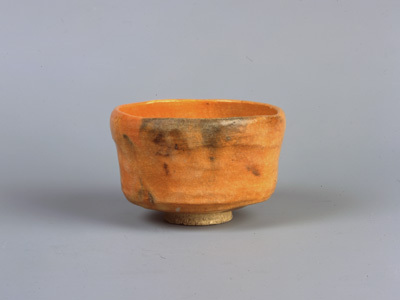 Therefore many of his tea bowls made during the Sôkichi period already reveal a certain level of perfection. 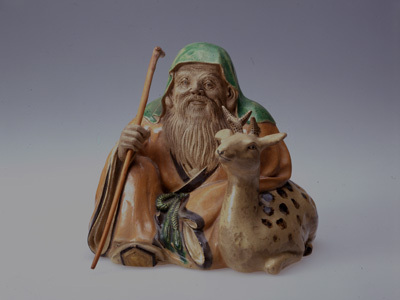 Seinyû produced relatively a large number of ornaments among the Raku generations. Most of them were made to order as a unique piece, as the result remaining unknown to public. A careful attention to details and a rich use of colour are typical of Seinyû's style.